I've been thinking about going to sephora to get some new stuff for fall. I've just been really lazy when it comes to shopping lately! Love Hand Clap! Even if they did sample from another song. Such a catchy, feel good tune! Ohh what song? I didn't know that! It's so good! And you seriously can only stop after one square..and I NEVER do that! I just ordered an iPhone 7 Plus because my phone is seriously low on space. Can't wait! Kat Von D is my favorite liner, too. It's so smooth. That pumpkin latte sounds amazing. I could totally make it without the coffee, since I don't like coffee. Yay! Hope you love the phone! So, I need to find a Free trade chocolate to buy, is that one free trade? :) I've realized now when I go to the store that they are really hard to find? :) Any recommendations? And an easy pumpkin spice latte sounds good! These are Fair Trade certified..is that the same thing? I have the iPhone 5, and am probably too frugal to buy a new one until this one totally breaks, but I have to admit I'm super jealous of the camera on the 7. That chocolate sound delicious! I get so upset when I guy dark chocolate before reading the label and find a bunch of added ingredients. And yum, I need to try making my own PSL at home, the ones at Sbucks are too sweet for me. I know what you mean about the chocolate..keep it clean! I ALMOST bought the endangered species brand yesterday but I went with my usual ghiradelli. But now you have me even more curiuos! And you've also inspired me to make my own PSL. Enough of those $5.00 drinks! We have that chocolate up here! Wow! Usually we don't get the same cool stuff as you guys. Ha ha.. "clutch"... you're hilarious. Our teenagers are constantly using new words and make me feel so old. Jake used the word "pote" once. I was like, "pote?" And then a few minutes later I tried to impress him by using it in a sentence except I accidentally said "tope" instead. Which sounds like "taupe." It was NOT a clutch sitch. It's a good box this month! 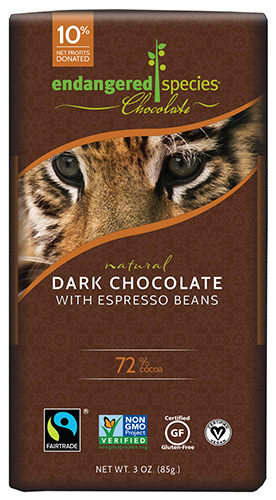 I am anxiously awaiting October as it means iHerb will stock chocolate again (they don't in the summer months) as I have been missing that espresso bean chocolate! It really is so good! I'm in need of a new iPhone and I'm tossing up between just getting the 6 (which is now SO MUCH CHEAPER, haha!) or the 7. Choices choices! Ohh that makes sense so that it doesn't melt I guess? I'll have to check them out! I am vey curious about the iPhone 7, but I feel as if I need to get one more year out of my 6. These things are just to dang expensive. I've heard that the camera is awesome, which intrigues me even more. I'm not happy about the loss of the headphone jack, however. My favorite headphones require one. I guess when the time comes, I will be one of those individuals handing more money over to Apple for an adapter. Have a wonderful weekend! 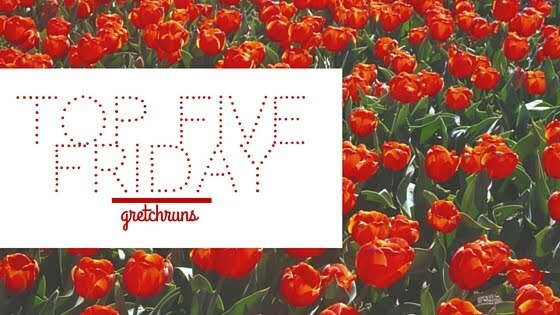 Visiting from Friday Favorites. Hope you feel better! I love that chocolate too--so delicious! i didn't watch This Is Us because i didn't want to stay up that late, and now i think i will wait for a few more episodes to be available so i can binge a bit. i am not good with watching one episode a week, i forget. ew, i can't believe you are a miley fan! we can't be friends! just kidding ME TOO. i didn't dress up as her for halloween, but i watched the show and the movie and love love loved it all. i watched the show like as it was ending, so i was well above the target demographic haha. but i can't help it, she's fabulous. i liked her music less in the crazy period, just not my style as much. Bat Out Of Hell! YES. best.